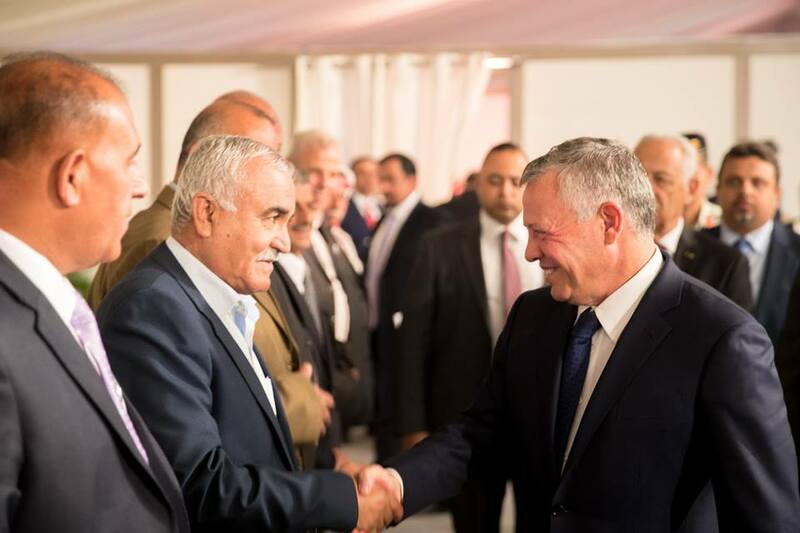 King Abdullah and representatives and key figures from Palestinian refugee camps. 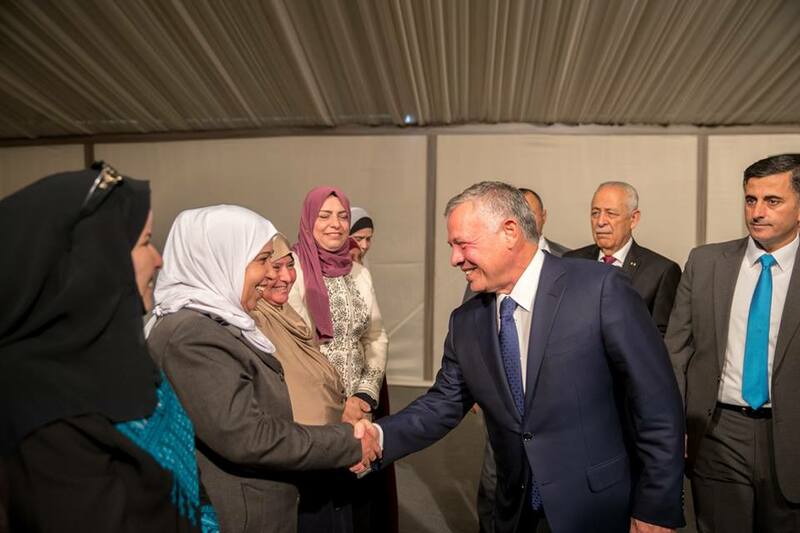 His Majesty King Abdullah II met with representatives and key figures from Palestinian refugee camps at the Royal Hashemite Court (RHC), on Wednesday, November 8, 2018. 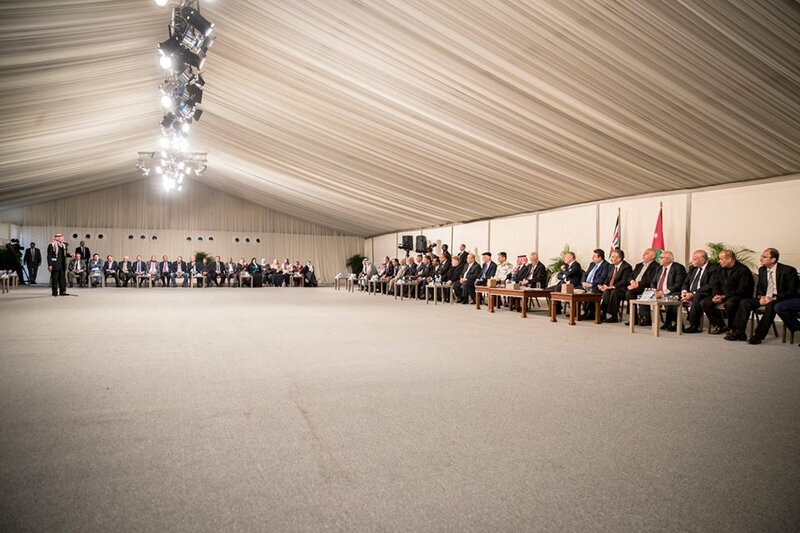 During the meeting, King Abdullah stressed that Palestine remains a priority to Jordan and the Jordanians. His Majesty also directed officials at the Royal Hashemite Court to check on all Palestinian refugee camps to know their concerns and identify the challenges and burdens facing these camps. 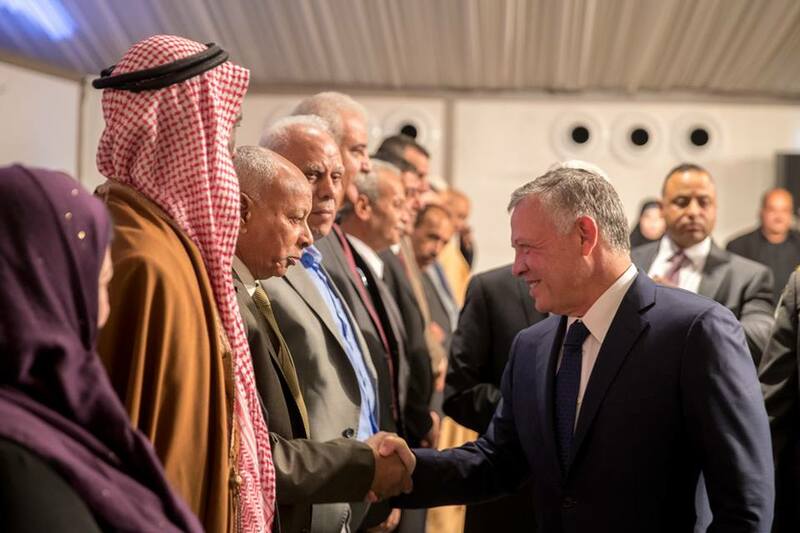 The camp representatives expressed appreciation for the King’s leadership and major efforts to support the Palestinian people in seeking their just and legitimate rights. 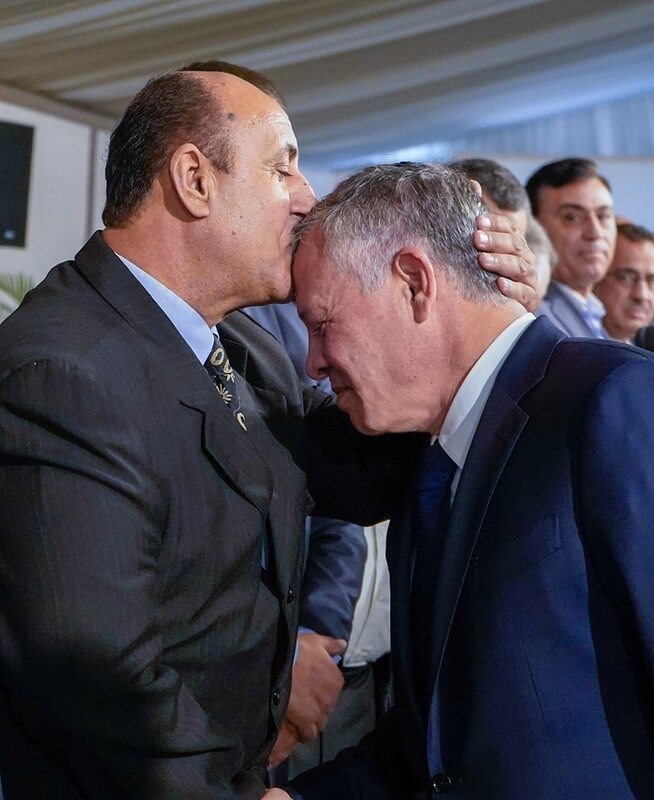 They also commended the historical and religious role of Jordan, led by His Majesty, in defending Islamic and Christian holy sites in Jerusalem, in line with the Hashemite Custodianship.